Very concisely and appropriately named, Pure WordPress Theme effectively underlines our main idea to help you display the elegant web presentation on the clean canvas without any distractive elements. This ready-made solution is specially designed for creating beautiful portfolio or blog projects which will compare favorably with the rest. 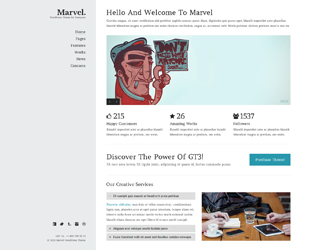 Simplicity of this theme shows the way modern and professional website should be displayed. Transparent style and refined look compose the perfect minimal concept of the overall design. Intuitively, your visitors will pay more attention on the content which is organized in a well-defined structure. 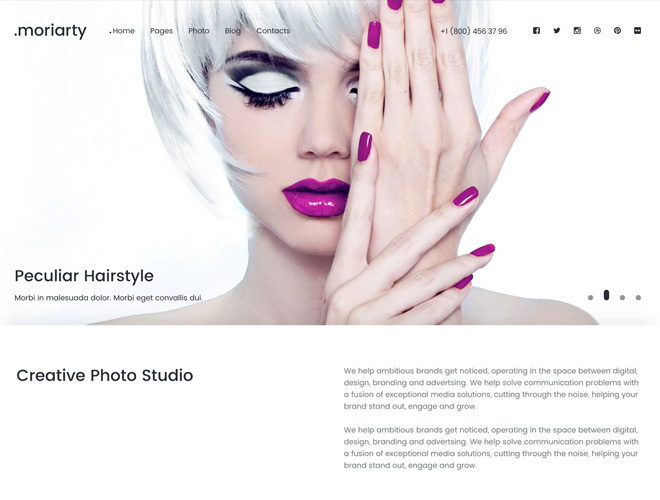 Speedy, fully functional and, at the same time, flexible, this Pure Theme is powered by WordPress software which gives the great potential and strong capabilities to this item. And you can prove it by checking the Live Demo and see our theme in action. Home Page opens with the dropdown navigation menu and catching header which you can replace if you want. We set Portfolio in the content part and it’s arranged in the grid layout, though you can choose other filters (Photo listing grid, All, Branding, Polygraphy, Video) to view the page. In Journalyou can post your blog entries in different styles, such as Grid, Masonry, fullwidth, single image, single slider, single youtube or single vimeo. Concerning the main features of the Pure WordPress Theme, we should mention about stylish typography, included About Page and 404 Error Page. During the editing process, you may need some good designer’s stuff for customization. So you will find icons boxes, portfolio posts, accordion & toggle, blog posts, gallery, promo text, tabs, testimonials, partners, message boxes, progress bars and custom buttons within this theme. Being fully responsive and retina ready, Pure WordPress Theme will bring a new sense of style, creativity and purity into your web project. And what can be more effective than a perfect blend of elegance and powerful functionality all-in-one product? 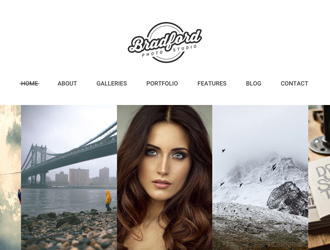 If you love good design, Pure WordPress Theme is made right for you! Is there a way to add multiple portfolio post at a time? There are about 30 items i would need to upload, and if i can do multiple at a time it would save a lot of time. Hi good simple theme, however I can’t find any documentation in the download… Can you point me in the right direction?